Jane is based in Tampa near MacDill Air Force Base. She earned her Associate of Science in Massage Therapy from Monterey Peninsula College in Monterey, CA where she took courses in Swedish massage, Sports Massage, Kinesiology, Anatomy & Physiology, Yoga, and Nutrition, among others. She simultaneously studied additional modalities such as Thai Massage, Myofascial Release, Chair Massage, and La Stone Hot and Cold Stone Therapy Massage at the Monterey Institute of Touch in Carmel, CA. After receiving her degree, she continued with advanced studies at the San Francisco School of Massage & Bodywork where she took courses in Deep Tissue Massage and Myofascial Release with Art Riggs, Trigger Point Release Therapy with Dr. Eric Rubin, and Ortho-Bionomy with Jim Berns. She instructs “Save Your Hands Injury Prevention & Ergonomics for Manual Therapists” workshops in Florida and throughout the country. “I am challenged every day to help my clients take better care of themselves and I see massage and bodywork as just one aspect of maintaining overall optimal health. I never cease to be amazed by the people I work with and am grateful for the opportunities that constantly come my way.” She is a member of ABMP as well as the Sports Massage & Chair Massage Teams of the Florida State Massage Therapy Association-Tampa Bay Chapter. In her personal time she enjoys just about all outdoor activity: hiking, swimming, and mountain biking, as well as indoor rock climbing and yoga. She recently returned to Tae Kwondo and is currently training in pursuit of her black belt at a small school in South Tampa. “I came to massage and bodywork first as a client, finding that I could work out longer and harder when I received regular quality bodywork. I am challenged every day to help my clients take better care of themselves and I see massage and bodywork as just one aspect of maintaining overall optimal health. I never cease to be amazed by the people I work with and am grateful for the opportunities that constantly come my way. I became an instructor after an injury almost ended my career and I realized the need for therapists to have the best tools possible to take care of themselves. As a veteran I enjoy volunteering weekly at the MacDill Air Force Base Health & Wellness Center, providing complimentary chair massage for all active duty and reserve personnel, retirees, civilian employees, international service members, and their family members. Educating the military community on the benefits of massage therapy is something I am passionate about. I also serve as the informal “military liaison” for our FSMTA chapter sports team, with whom I coordinated Caring Hands Support Our Troops 2013 at the HAWC. This ambitious event showcased 12 different modalities of massage and bodywork for Massage Therapy Awareness Week and reached hundreds from the military community. I have also coordinated sports massage support for USSOCOM Wounded Warriors at MacDill as well as chair massage for both 6th Medical Group employee appreciation and Harbor Bay military resident appreciation events. I am a member of ABMP as well as the Sports Massage & Chair Massage Teams of the Florida State Massage Therapy Association-Tampa Bay Chapter. For 2013 I am the extremely grateful recipient of the Sports Massage Therapist of the Year award for the Tampa Bay Chapter. 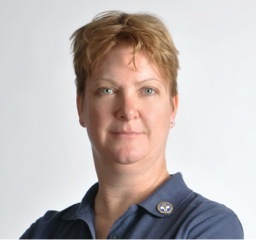 Jane has been repeatedly honored for her work, including as the FSMTA Sport Massage Therapist of the year, and in 2015 she received the Humanitarian of the Year aware for her ongoing work with active duty military personnel. Way to go Jane!